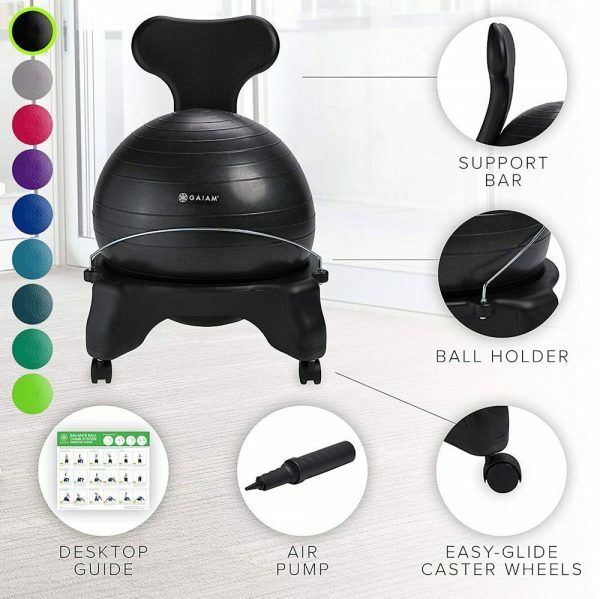 For those who sit for long periods and are looking for more active ergonomic solutions, the balance ball chair can improve your core muscles while you sit. This is a nice approach to those who are looking to improve core stability for back pain. 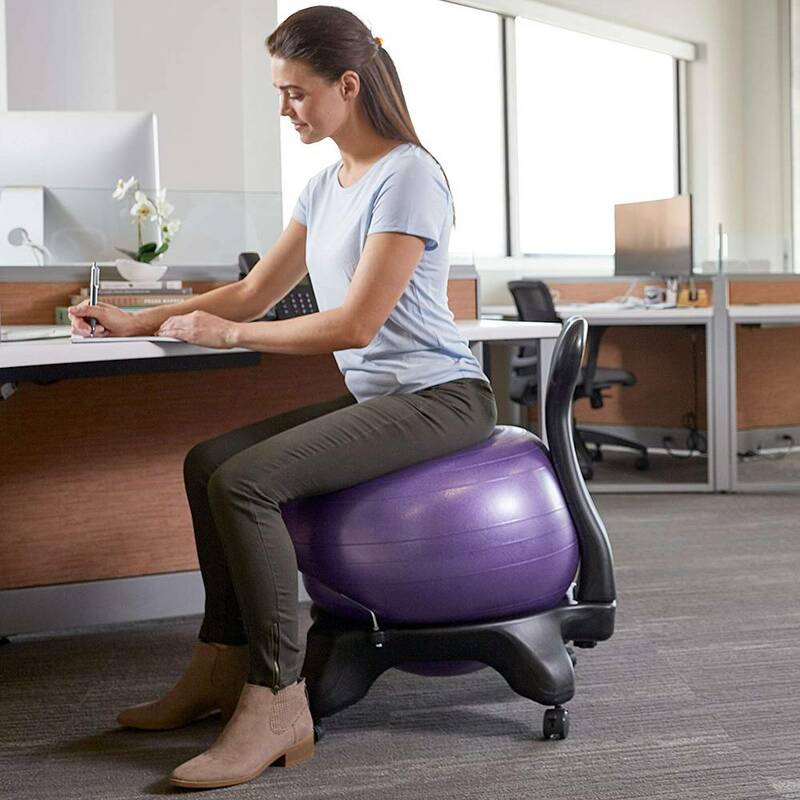 While not for everyone, this chair provides a totally different approach to avoid the hazards of sitting for long periods. 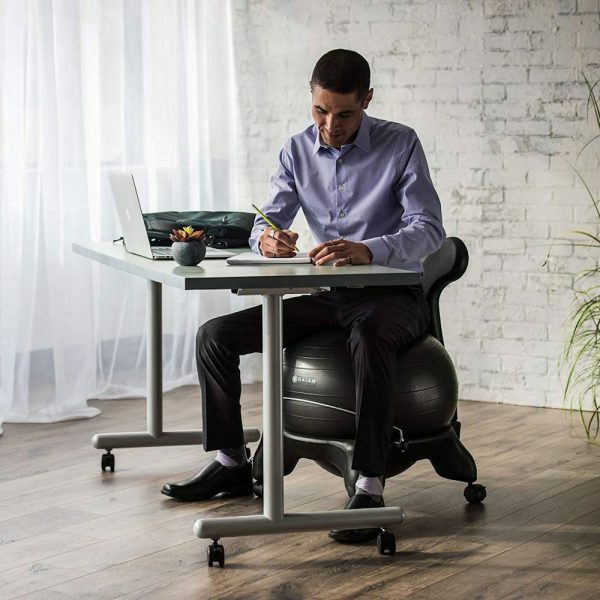 It was created by professionals in the health and fitness industry to increase productivity and boost energy levels by keeping the mind and body active while sitting. 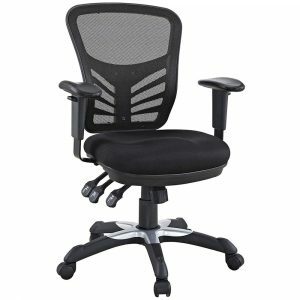 The basic chair fits individuals from 5 foot to 5’11 inches tall, but can be extended with leg extenders to make it 2 inches taller. 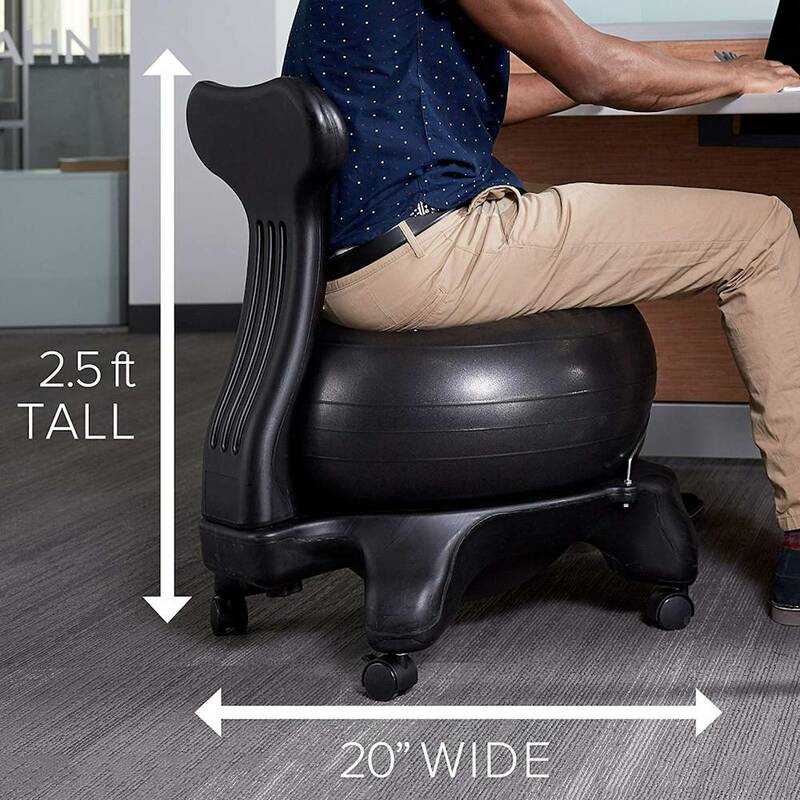 Don’t be fooled by looks, this chair supports up to 300 pounds. At 13 pounds, it is a lightweight and easy to maneuver chair and it has a backrest. This is an important feature as opposed to just using a ball. A single ball is used in many physical therapy offices for core stability exercises. 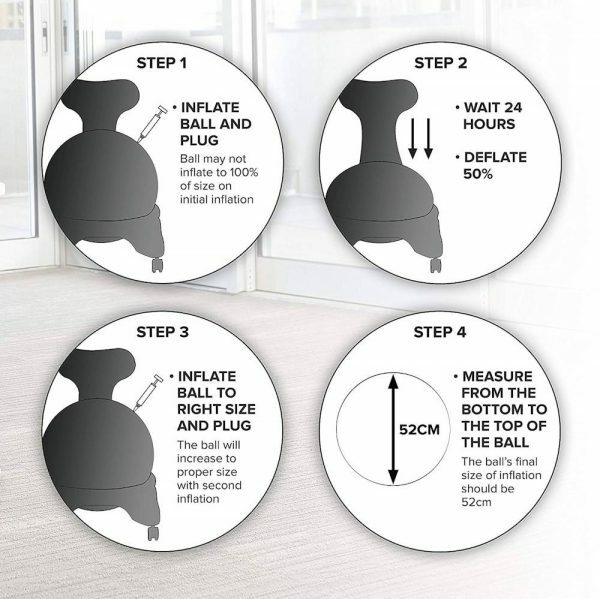 Take the ball out and you can do this, but it is a system for sitting. 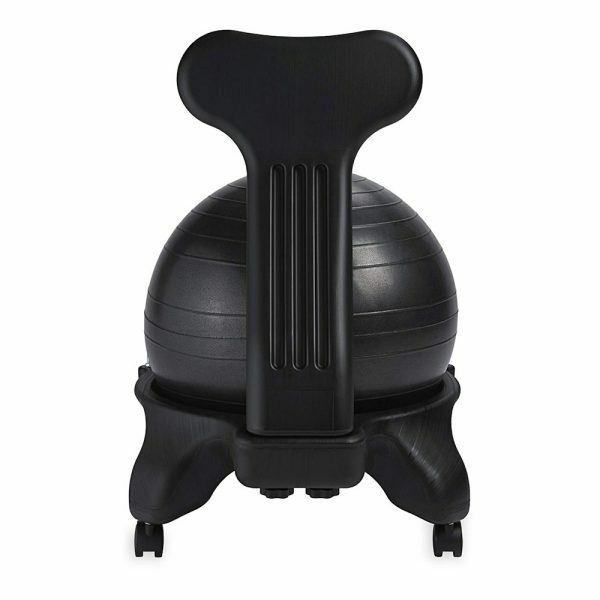 The backrest helps with stability and can shift the level of improved posture to the neck. A 2008 study in the journal Industrial Health found reduced forward head and shoulder angle using a ball backrest. 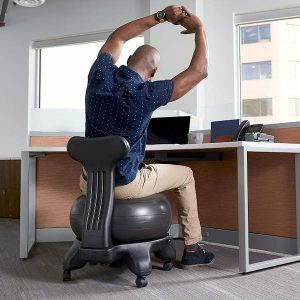 So, this can have a positive influence on total body posture and those seeking postural improvements for the head, neck and shoulders. A 2007 study in the journal Work . found that using a ball chair with a backrest chair reduced overuse injury and risk developing muscle soreness in patients with upper crossed syndrome. This is a postural condition of rounded shoulders and forward head posture related to weak muscles. The chair promotes micro-movements which constantly stimulates the body. Being so different, it may take some time to get used to it. I would suggest keeping your old chair and gradually introducing the ball chair starting with 15 minutes at a time. 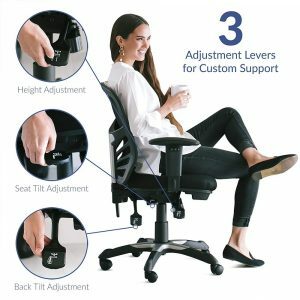 You may find that it is the perfect chair to use all day long, or you may find it more beneficial to use in combination with another chair for maximum benefit. Everyone is different, so results will vary. However, it is a reasonable strategy and reasonably priced.